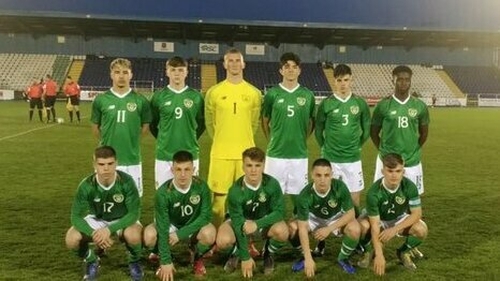 Republic of Ireland Under-17s lost 1-0 to Finland on Friday night in an international friendly at Waterford’s RSC. A goal on the hour-mark from striker Eetu Rissanen was enough to give the visitors the win, ahead of Monday afternoon’s match in Tallaght Stadium. Speaking after the match, Head Coach Colin O’Brien, said there are areas to improve on ahead of Monday. "There were very few clear chances in the first-half. Finland’s goal came from us trying to build from the back. We lost possession of the ball and they capitalised on the mistake," O’Brien revealed. "We didn’t perform to the standards we set ourselves. The team are a lot better than what they showed tonight. We have to the chance now on Monday to get our performances back to the standards we know we are capable of." As part of preparations for May’s UEFA Under-17 European Championships, both teams took part in a penalty shootout. Tallaght Stadium will also host a penalty shootout after Monday’s game.